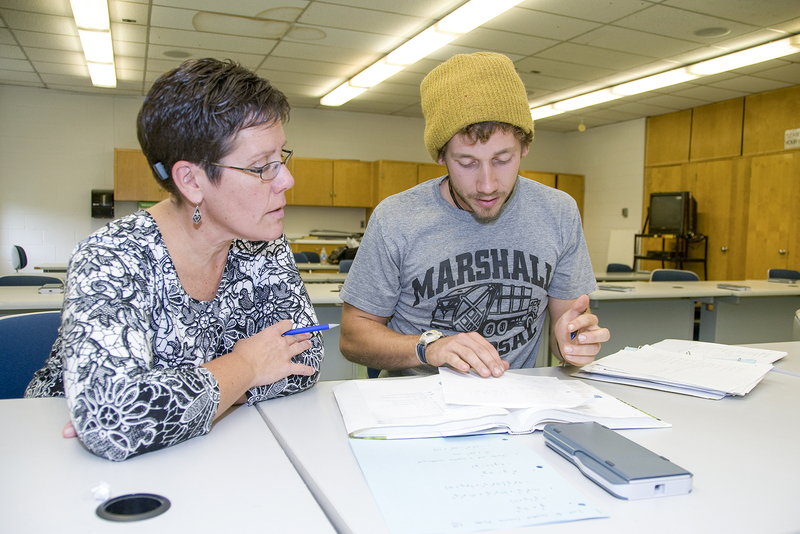 Kellogg Community College’s new Basic Math Boot Camp is for students placed in basic Transitional Math classes who are looking for an accelerated path to their next-level math classes. Being placed in TSMA 25: Basic Math means there are basic math skills students need to review before being ready for TSMA 45: Pre-Algebra. At KCC, students can take a fast track to Pre-Algebra by enrolling in TSMA 30: Basic Math Boot Camp. TSMA 30 sections focus exclusively on helping students review their basic math skills in a targeted, one-week course. This accelerated learning modality can save a semester of coursework in Transitional Studies, getting students on track to complete their degree sooner. Anyone who has placed into TSMA 25 can enroll in TSMA 30. This fall, TSMA 30 is offered from 1 to 5 p.m. Monday through Thursday, Aug. 27 through 30, in room 203 of the C Classroom Building on campus at 450 North Avenue in Battle Creek. For more information, contact KCC’s Academic Advising at 269-965-4124 or advising@kellogg.edu or contact KCC Math and Science Chair Carole Davis at 269-660-2342 or davisc@kellogg.edu.